5' 10" - 185 lbs. Handicap: Color Blind - please don't ask me what color something is! Just tell me when I don't match so I don't wear it again! 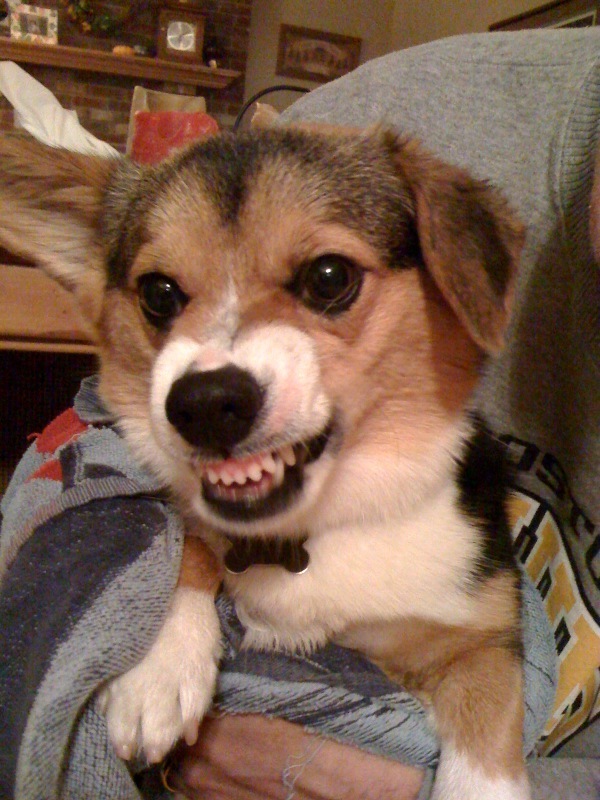 Wilbur is our Pembroke Welsh Corgi. We got him in 2007 when he was just 9 weeks old. He is supposed to have both ears sticking up, but his left ear folds over. We are pretty sure he is the cutest dog in the world. You might disagree but if you click on the pictures below you'll probably change your mind. This picture is from the first week Wilbur came to live with us. He sure was a cute puppy. This is from Christmas 2009 - Wilbur likes hanging out by the Christmas Tree. 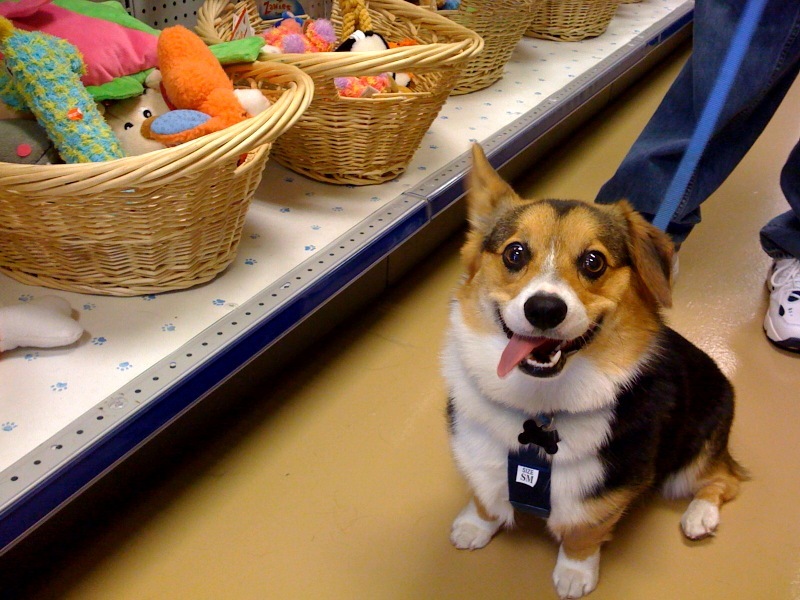 Wilbur's favorite store is Tucker's Doggie Delights. We get all of his food, treats and toys there. Wilbur is awful jealous of Tucker - who greets everyone with a howl and a kiss. 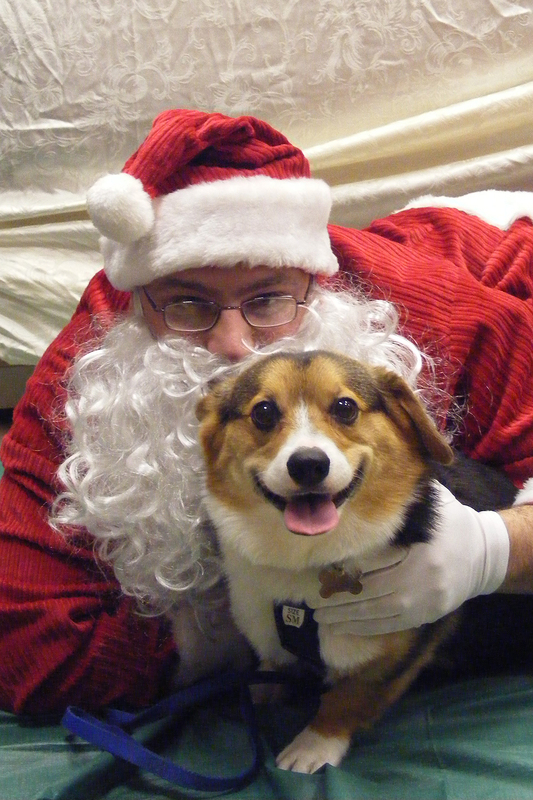 Wilbur got his picture taken with Santa again a few years ago at Tucker's. He was sort of afraid of the big guy but at least he took a picture. This is what Wilbur looks like when he's getting toweled off after getting wet outside. He doesn't like it very much. I think this could be his Halloween costume when he trick-or-treats as a vampire. This picture and the one to the left were taken on the beach in Michigan in the summer of 2012. Wilbur loves the beach!!! He loves to have me throw a stick or a Frisbee along the shore while he chases it down and brings it back. He also loves to dig in the sand and get really dirty! This is a picture of Wilbur with my wife Susan. She likes to run and sometimes she takes Wilbur with her. His little legs can really keep up! A few years ago I took a Bluegrass Flatpicking class at Down Home Guitars in Frankfort, IL. I have been playing guitar since 1985 when I bought a Gibson S-1 from a friend of a friend. He showed me three chords (G, C & D) and I've been playing by ear ever since. The class was taught by Eric Lambert and he's really good. These were the first real lessons I've had and as a result I've been playing more than ever. Below are pics of the 7 guitars I own. Too bad I'm still not all that good but I'm still working on it. Click on any to get a bigger picture. The first is my first guitar - the Gibson S-1. Number 2 is the Fender Stratocaster I upon which I love to play the blues. The third guitar is a really cheap Korean acoustic I bought over 20 years ago because I wanted to have an acoustic guitar. The fourth is my Ovation acoustic/electric. I've played this more the past 15 years than any other. The fifth is my pride and joy - I bought it in November 2009. It is a Martin DM. OMG what a sound - I play it religiously every day. It's the only guitar I've ever owned that actually makes me sound better than I am! The next guitar I bought from a friend in the Spring of 2012 - it's a 12-string Ibanez. It's hard to play but it has a very unique and different sound from any other guitar I own. 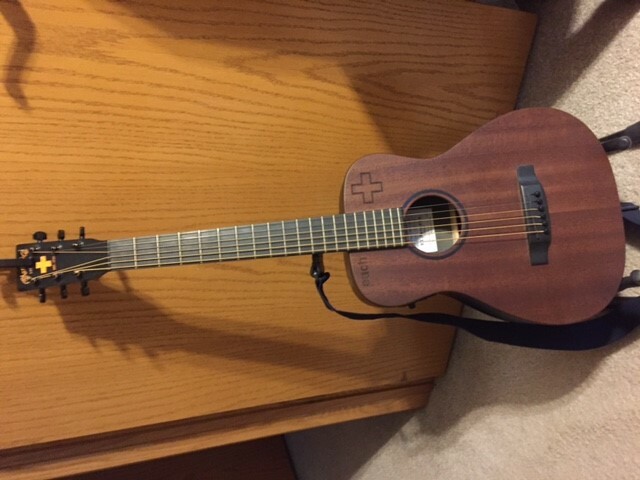 The last guitar is my Mini Martin LX1E (Ed Sheeran +). I bought it to take on fishing trips and to bring to school every now & again. Ok - so you probably know that I'm a big hockey fan. I've loved the game since I was little and Bobby Hull wore #9 for the Blackhawks. Sadly, he left town when I was six but I still followed the game. My favorite teams are (duh) the Blackhawks and the Boston Bruins. It was very hard for me during the 2013 Stanley Cup Final but I still rooted for my Blackhawks. 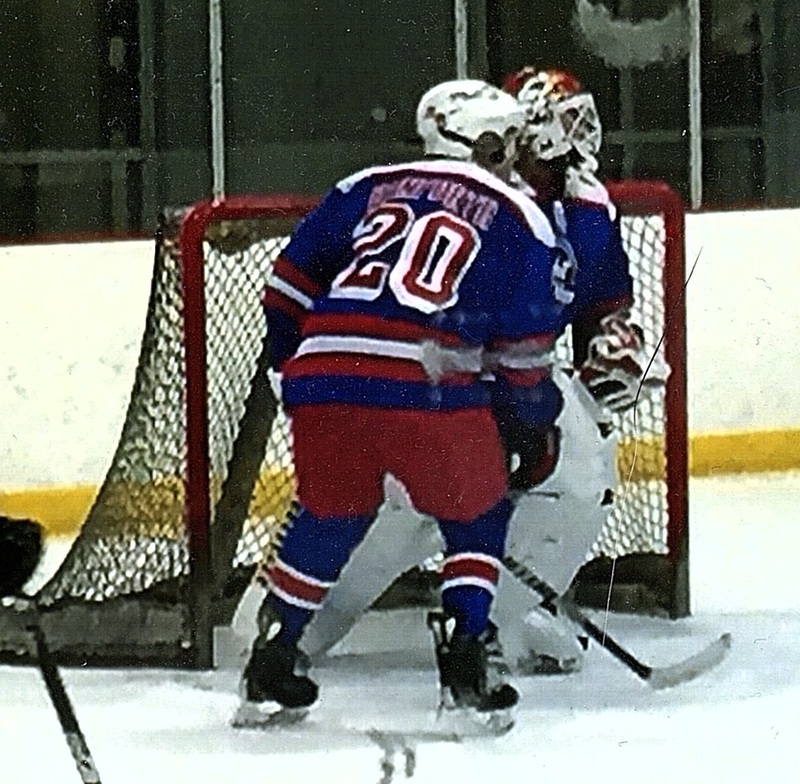 In early 2013 I decided I wanted to play ice hockey again. 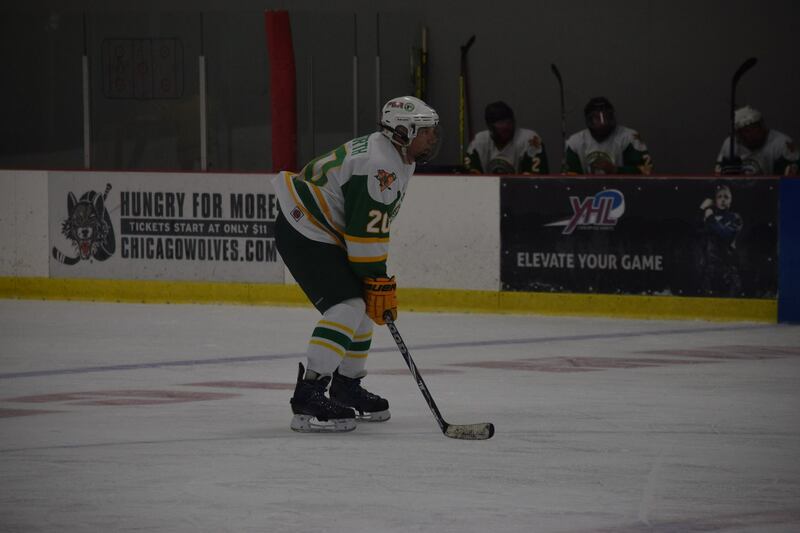 I joined an adult instructional league at Canlan Ice Sports in Romeoville called the AIHL. It was difficult, but I felt that I've gotten much better than when I started. 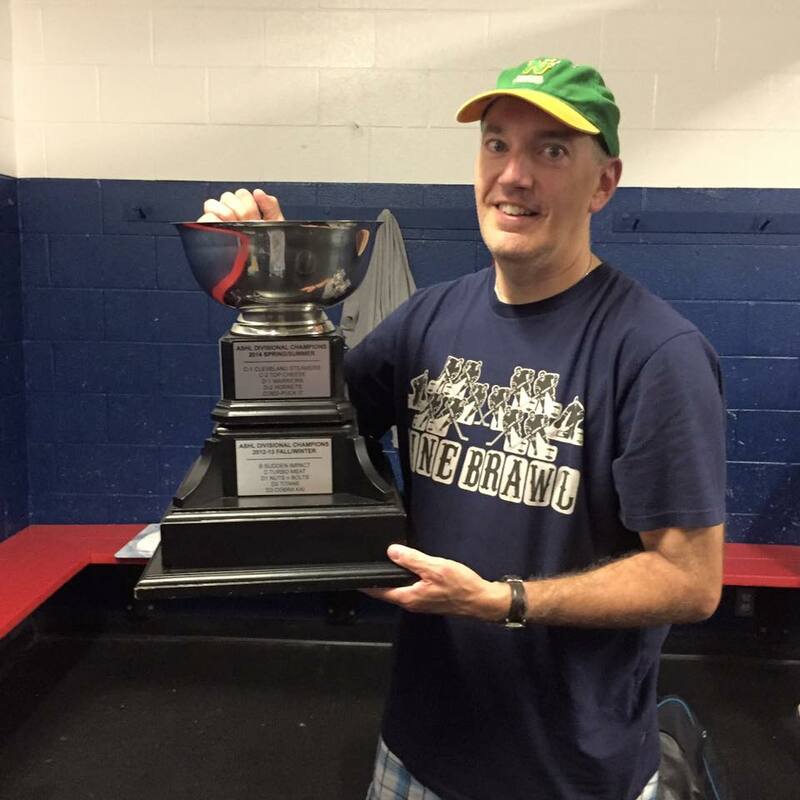 In April 2013 I joined a D level (lowest) league in the ASHL (Adult Safe Hockey League) for the Spring/Summer. This is the first time I've played in a summer league for many years and this is clearly the best run league in which I've ever participated. Our team was called the Fighting Geese. 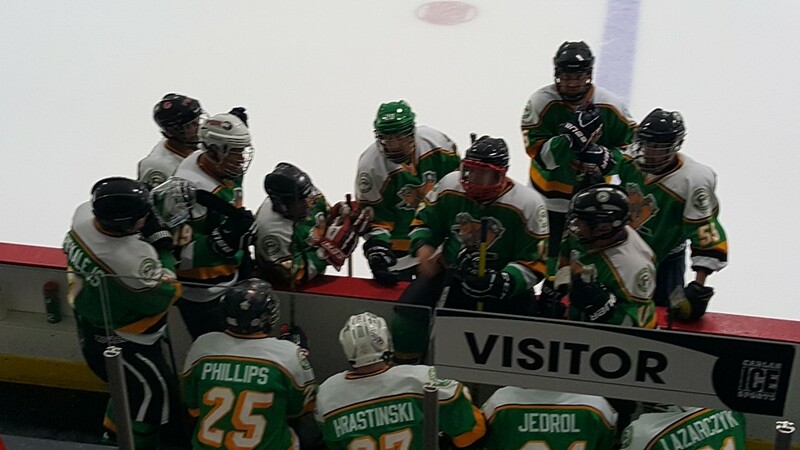 We finished the Spring/Summer with a record of 7-11-0, in 10th place in a 12-team league. It wasn't a bad start considering that we were a house team - which means that all of us were thrown together. The only guy on my team that I knew before we started was a former Sahs teacher - Mr. Randy Klosowski. Maybe you remember back when he used to teach 4th grade and coach basketball? In 2014 the Fighting Geese turned into a beer-sponsored team called PBR (now called the Blue Ribbons). In the Spring/Summer session of 2014 & in the Fall/Winter of 2014-2015 we made it to the D1 championship game only to lose the the same team both times. It was hard but you only get better from these types of experiences. 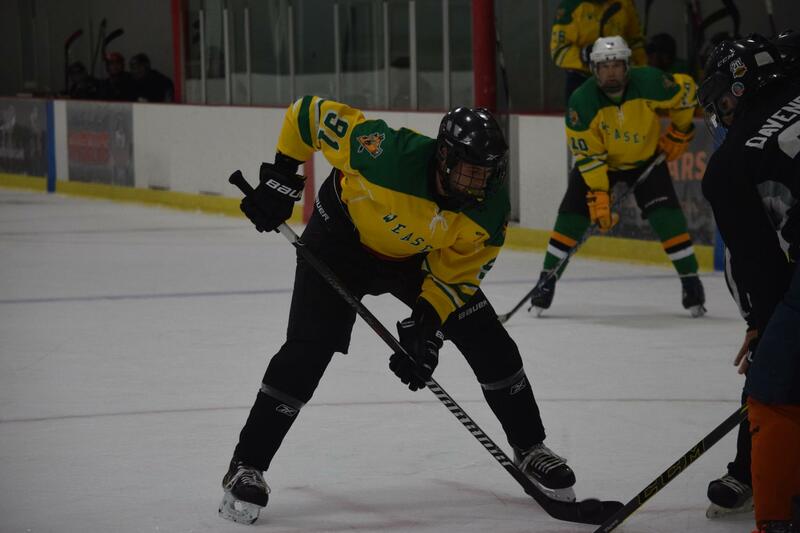 In the Spring/Summer session of 2014 I joined the Ice Zombies of the Co-ed division. We had a good team but we also came up short in the championship game. In less than a year I was 0-3 in title games but that all changed in the Spring/Summer of 2015. 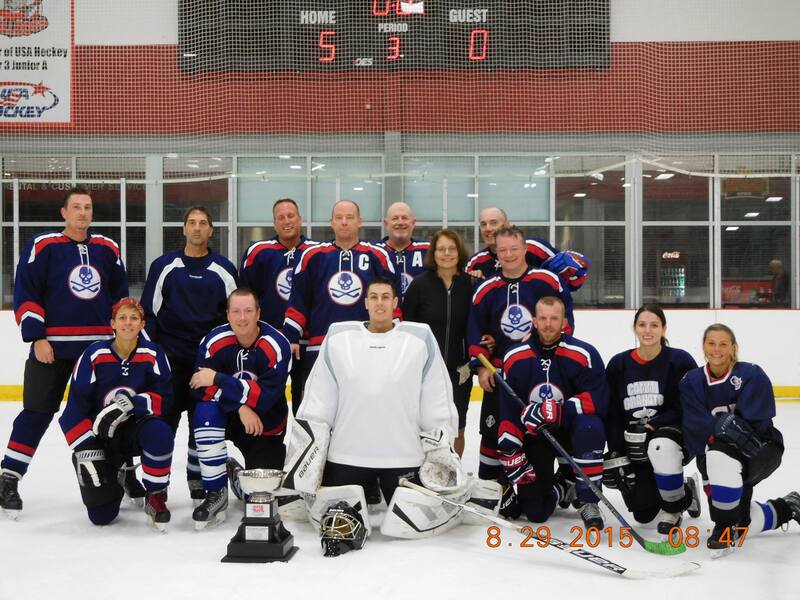 This time the Ice Zombies dominated the division and we won the Canlan Cup. 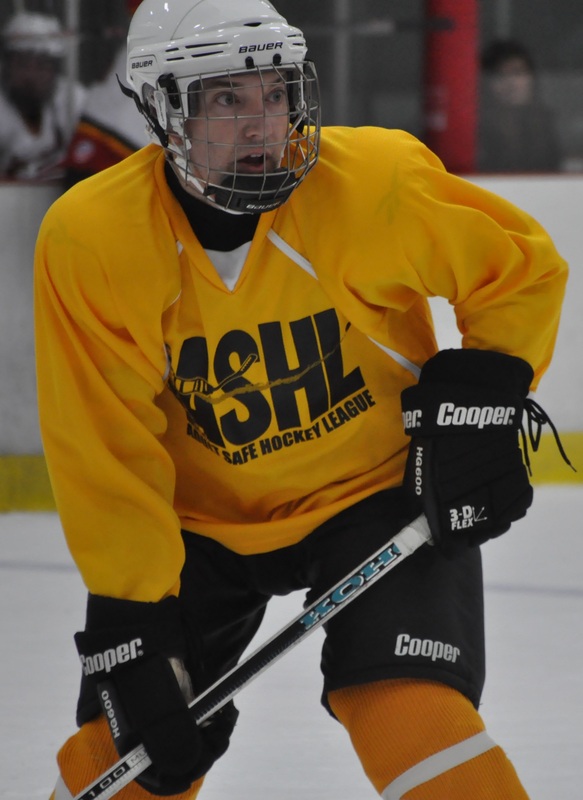 If you want to look up any of my teams and old statistics, clicking on the ASHL logo below. 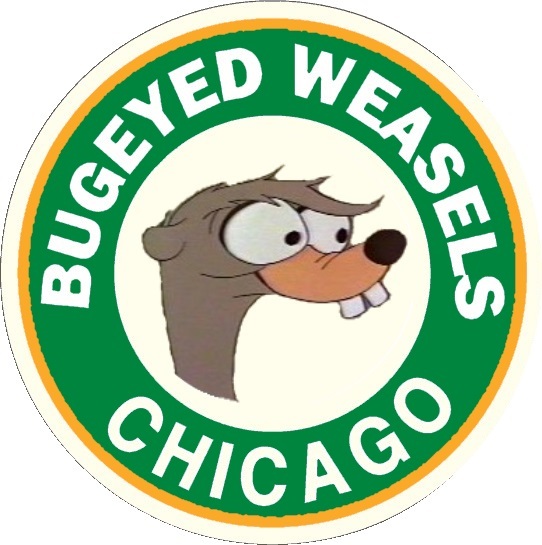 The Blue Ribbons are in D1 and the Bugeyed Weasels are in D3. Reading - I try to read every night before going to bed. I love to read. I didn't like it so much when I was in school - not until High School at least and even then it wasn't until the last two years. You can check out my "What is Mr. D Reading?" page to find out the latest book I'm reading. I really like books that have a historical setting. Historical fiction is one of my favorite genres. But I read other things as well. I truly believe that reading a book is far better than watching a movie - usually because when a book is made into a movie it's never as good as the book. I think this is because reading forces you to use your own imagination as to what is happening, how the characters look and how the story makes you feel. There are very few movies that have ever been as good as the book. Fishing - I love to fish but I never seem to find the time. I prefer fishing in Northern or Central Wisconsin. I had the chance to fish in Canada in 2005 and it was a blast! TV - I watch too much TV but I'm sure I'm not alone. I watch Survivor, Mad Men, Downton Abbey, & Modern Family with Susan but I watch other shows as well that she doesn't prefer. I really like Black Sails, DaVinci's Demons, Game of Thrones, Justified, Ghost Hunters & Blackhawks Hockey so I watch those in the basement. Games - I have a PS4 but don't have much time to play. When I do, I'm playing NHL17. Also, I have an old PS3 & I like Burnout Paradise City or Call of Duty - World at War & Red Dead Redemption. One of my favorite games is Civilization. I have it for the computer, PS3 and even the iPhone. But I try not to play it too often because I become a zombie due to playing too long.